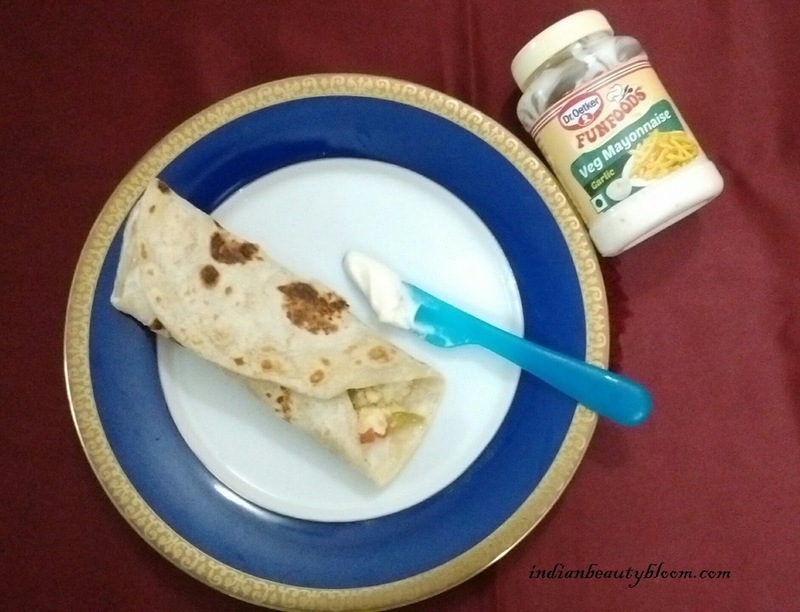 Today I am going to share recipe of Paneer Frankie with FunFoods Garlic Mayonnaise . Few days back I had done a post on Recipe of Russian Salad with FunFoods Veg Mayonnaise . 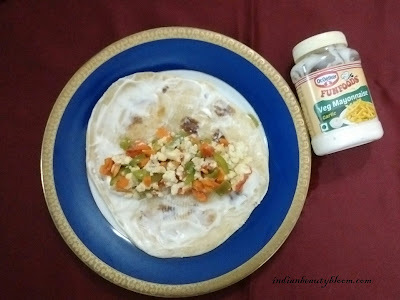 FunFoods Veg Mayonnaise Garlic is a thick creamy Mayonnaise with Garlic flavor . It’s mostly used in French & Spanish dishes . One can also use it in variety of Indian dishes to enhance their taste & flavor . 1. White Flour ( Maida ) – 2 cups . 3. Mixed vegetables like carrot , capsicum , tomato – 1 cup . 4. FunFoods Garlic Mayonnaise – 1 table spoon . 6. Chaat Masala Powder – 1 Tea spoon . In a mixing bowl add white flour , little salt , black pepper powder , Chaat masala powder , 1 table spoon oil and mix well . Add little amount of water and prepare the dough as we do for Roti or Paratha . 2. 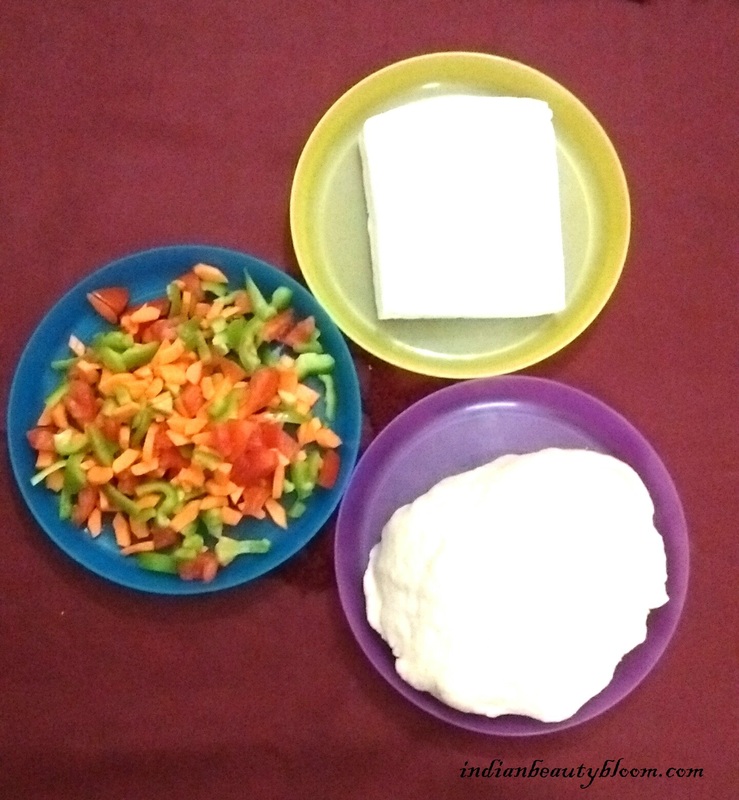 Prepare Paneer & Vegetable Mix . Finley chop all vegetables . In a pan add little oil and fry all vegetables for 5-10 minutes , add crumbles Paneer , salt , black pepper powder , chaat masala powder and mix well , cook on a medium flame for 5 minutes more and then switch off the flame . Make equal sized balls from the dough . Using a rolling pin roll it into thin rotis , then cook it on a hot Tawa or Pan turning both sides adding little oil . Once all done keep aside . 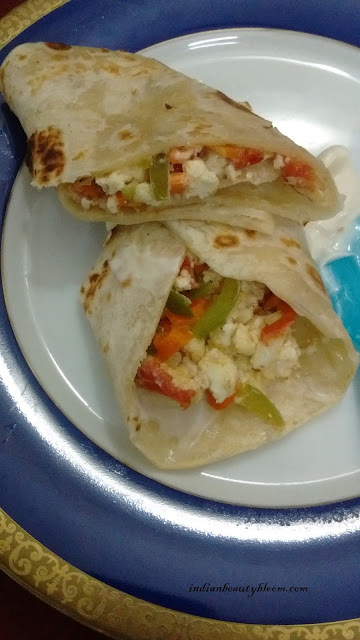 Spread a layer of FunFoods Garlic Mayonnaise on Roti , then add little of Panner and Vegetable Mix at center and roll it like a Frankie or a roll . 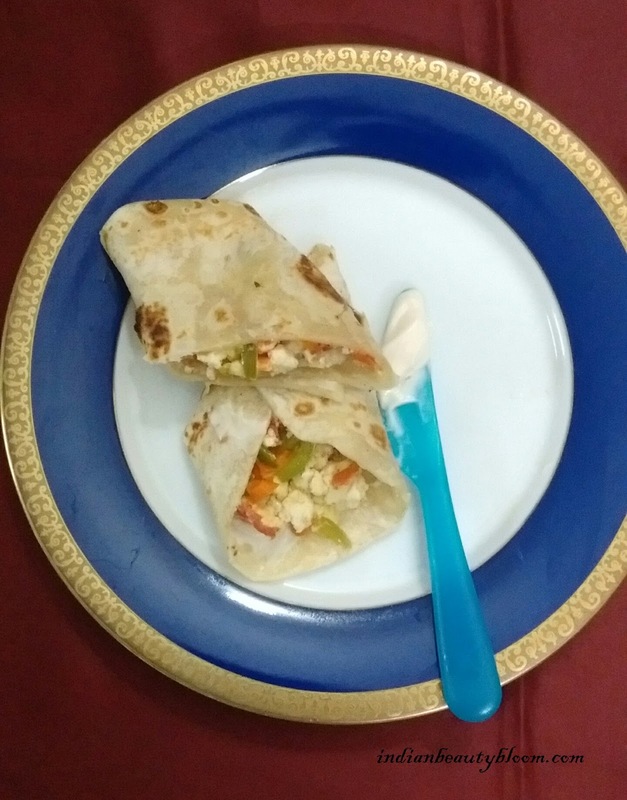 So this way we can prepare delicious & Healthy Paneer frankie at home with FunFoods Garlic Mayonnaise which enhances the taste of dish and make it delicious & Enjoyable . One can buy this product from any Super Store or Online grocery stores and it’s reasonably priced at Rs 79 for 275 gms . This Garlic Mayonnaise is a vegetarian product and does not contains any egg so can be used by all.